A police pursuit ended when a car crashed into six vehicles at two Bedford car dealerships early Sunday morning. Walton Hills police first began to chase the stolen car around 1:45 a.m. Police said speeds reached 90 mph and that's when the chase was called off. "Way too fast," Walton Hills police officer Rich Rykalla said . "Way too dangerous." The chase involved at least a six police departments. Some called the pursuit off, others did not. "Each agencies policies and procedures are not identical, " Bedford Police Chief Chris Nietert said. Bedford police were not involved in the chase but they are investigating the crash. When the crash happened, Oakwood police and a Summit County Sheriff's deputy were pursuing the SUV. They followed the car north on Interstate 271 until the driver exited at Broadway Avenue. 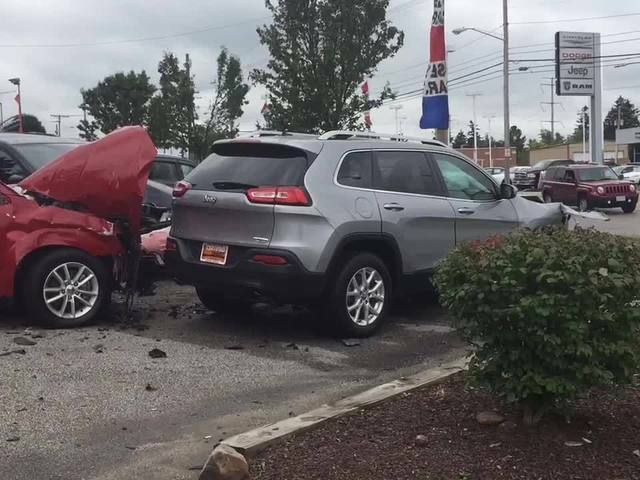 A short time later, the car crashed into six cars at two different dealerships. The SUV crashed into Ganley and Kane's Auto Exchange off Broadway. Michael Kane was still picking up pieces of debris from his car lot Monday morning. 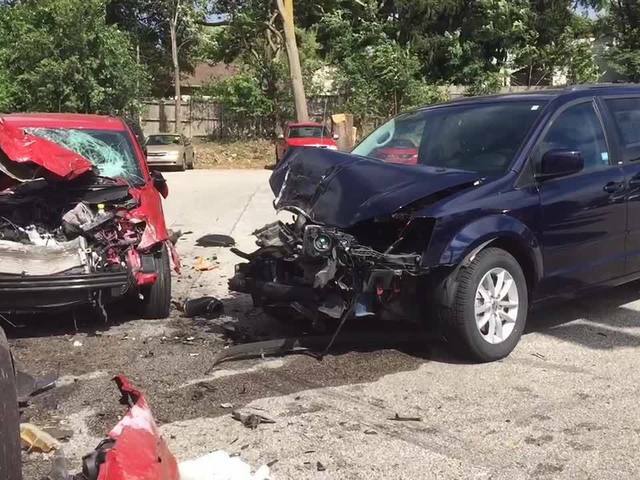 "There were car parts all over the sidewalk, tree lawn, entrance," said Kane. George J. W. Fields Jr. was taken to a local hospital for evaluation. He was then issued a traffic ticket for reasonable control. Police are also seeking felony receiving stolen property charges.